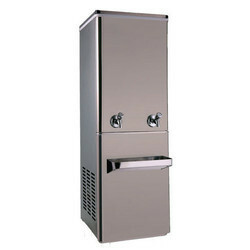 We are a leading Authorized Wholesale Dealer of water cooler for hospitals and water coolers from Chennai, India. We are engaged in the business of Water Cooler for Hospitals to the clients. The offered water cooler is resistant to the entry of dust and insects owing to its sturdy enclosure and is resistant to abrasion as well. It is made from high-grade materials sourced from a reliable vendor base for maintaining the industry standards. We are involved in providing qualitative array of Water Coolers to our valuable clients. Provided coolers are manufactured using top notched components and sophisticated technology in compliance with the industry standards at vendors' end. Coolers offered by us are thoroughly tested under the supervision of our experienced professionals against several parameters. We offer these coolers to our valuable clients in diverse specifications, so as to satisfy the requirements of individual clients and cater to diversified industrial purposes. 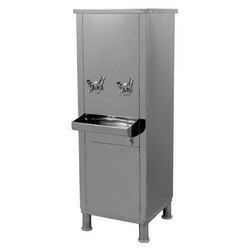 Looking for Water Cooler for Hospitals ?